Quang Binh (VNA) - Three men travelling on French and American passports, were recently stopped in Phong Nha - Ke Bang National Park in Quang Binh province. They were hoping to trek into the world’s largest cave without porters, guides or tickets. 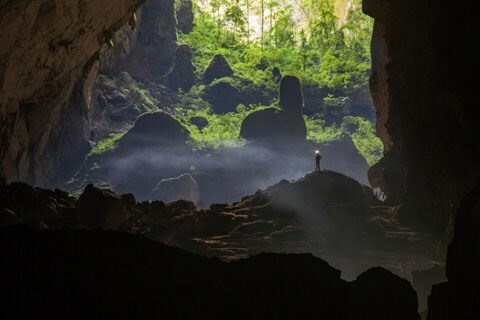 Travelling into Son Doong Cave without professional equipment or proper guidance is dangerous and might lead to life-threatening situations, said Le Thanh Tinh, Director of the national park. The group reportedly admitted that they were using navigation devices to attempt to access Hang En Cave and Son Doong Cave, and agreed to pay an undisclosed administrative fine and proceeded to visit other approved destinations in the park.